My 5 star reading streak continues. 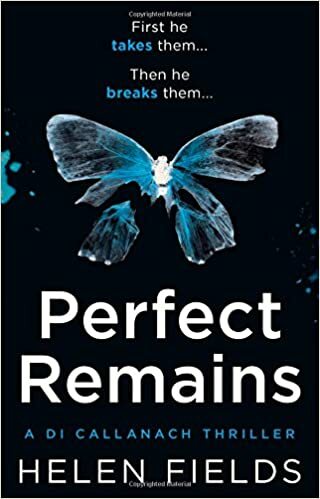 Perfect Remains is near enough a perfect read. I loved it. At first I didnt really take to DI Callanach but the more I read and with the Introduction of Ava it got better and better. The story is told in alternating chapters from the viewpoint of DI Callanach and the Creepy and Evil Dr King. As the story unfolds we find out more of Callanachs past and what has lead him to leave Interpol and relocate to Scotland. The book moves at a good pace and we dont get bogged down with superfluous background of any of the characters. Although we know who has done what the tension in the book is still palpable and there were a few twists that left me speechless. A masterclass in how to write a Thriller.